There’s a reason Baywatch wasn’t set in Toronto. Beach season is short. Sure, bundled-up dog walkers and cross-country skiers still make their way to the lakeshore during the winter, but the life guard stands spend six months of the year looking strangely out of place. Except, that is, for the next few weeks, as five large-scale art installations transform the utilitarian metal stands along Kew-Balmy Beach into exciting winter attractions. Indeed, organizers are hoping that technicolour pine cones and whimsical swing sets become even bigger beach draws than David Hasselhoff. 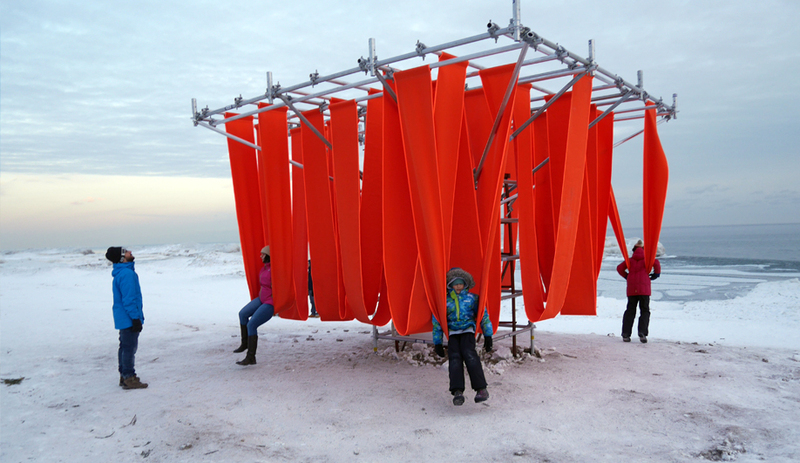 Unveiled on February 16, the group of playful structures is the outcome of Winter Stations, an international design competition launched last fall. This year’s four winning submissions come from architects in England, the U.S. and Canada, while a fifth station is the brainchild of Ryerson University students. 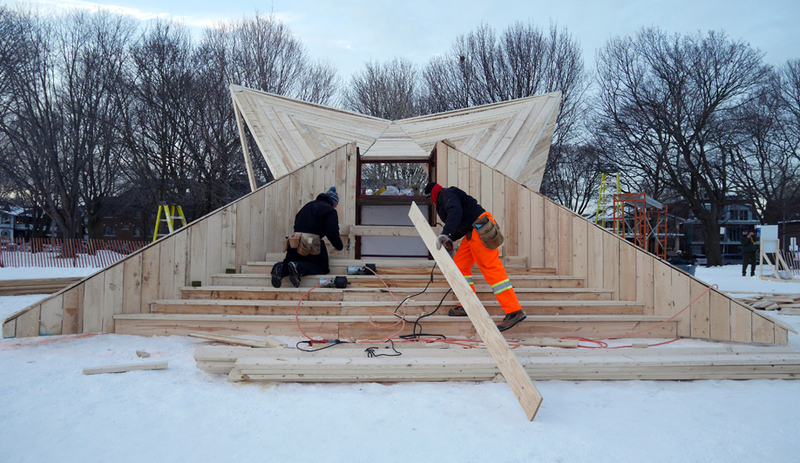 The festival was inspired by Winnipeg’s successful Warming Huts competition, which invites designers to submit proposals for pop-up shelters to be built along the city’s main skating trail each winter. Last year, the winning structures on display included Nuzzles, a fur ball-like dome made out of pool noodles and masterminded by Toronto-based architecture firm RAW Design. 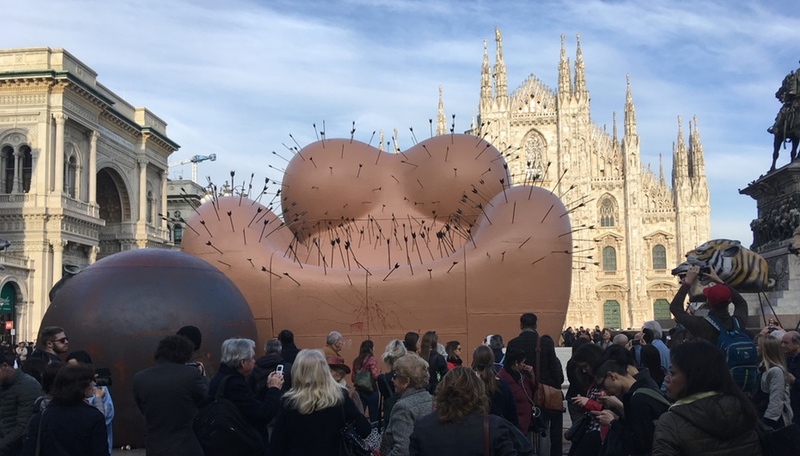 Encouraged by the experience, the firm’s director, Roland Rom Colthoff, set out to launch a similar competition here, partnering with landscape architect Ted Merrick of Ferris + Associates and Justin Ridgeway of Curio, a public art management practice. The trio gained enthusiastic support from local councillor Mary-Margaret McMahon and MPP Arthur Potts, while a number of local condo developers funded the initiative. Between October and December, over 200 designers submitted to Winter Stations. A five-person jury waded through the entries to choose this year’s winners. While the two teams of British designers who flew in for the grand opening were greeted by Toronto’s coldest temperatures of the year, the frigid conditions proved how effective their designs are – even in the dead of winter, the stations still drew a decent crowd. 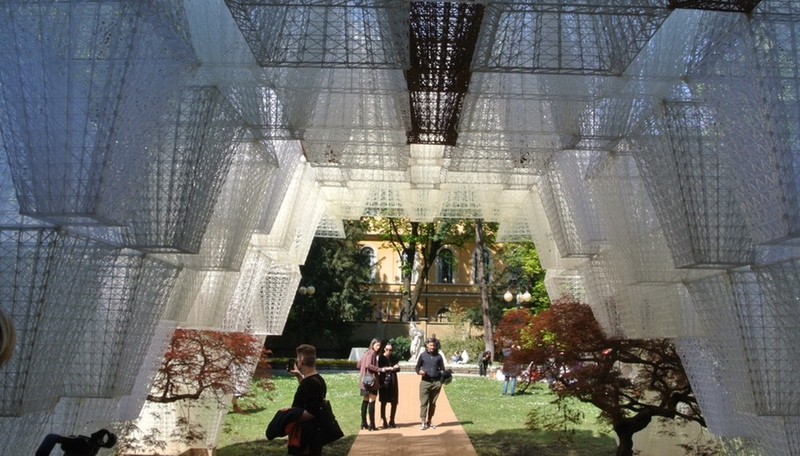 Below, we take a look at the five beach structures on display between Woodbine and Victoria Park Avenue until March 20. 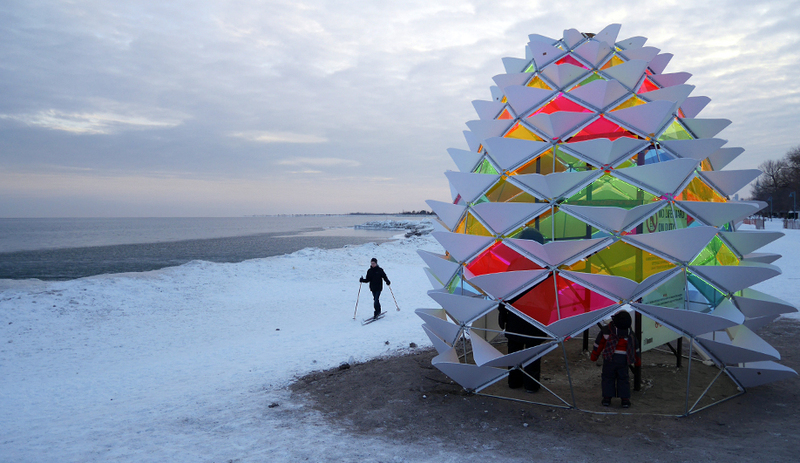 Designed by a student team from Ryerson’s Department of Architectural Science, this vibrant, geodesic dome-like structure resembles a giant pine cone. 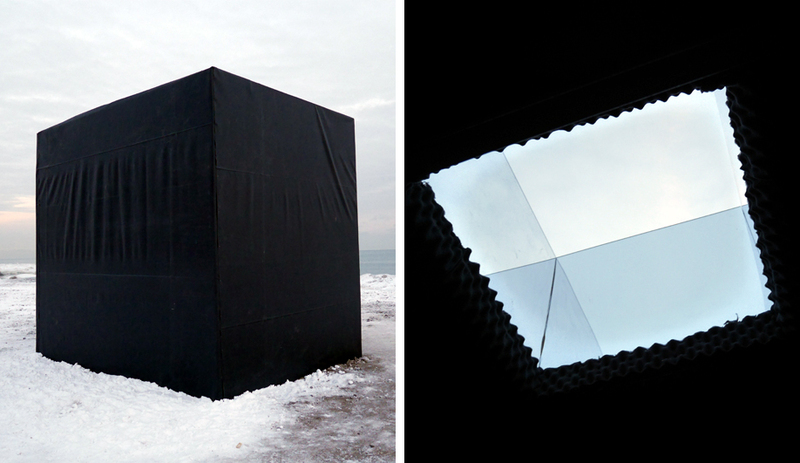 Its translucent acrylic panels bring some much-needed colour to the surrounding winter landscape. Inspired by the sculptural pieces of weathered wood that can be found along the shoreline, this reused timber structure by London architect Daniel Madeiros allows visitors to take advantage of a lifeguard stand’s excellent view. While this station was still under construction when we visited, the work-in-progress offered a look at how it is incorporating the lifeguard stand. Sharing a bit in common with The Gates, Christo and Jeanne-Claude’s similarly orange-hued pop-up in Central Park, this installation by London-based WMB Studio architects reimagines the canvas backs of fold-up beach chairs as swings. New Hampshire designer Tim Olson creates a community gathering space in the shape of a wingback chair. 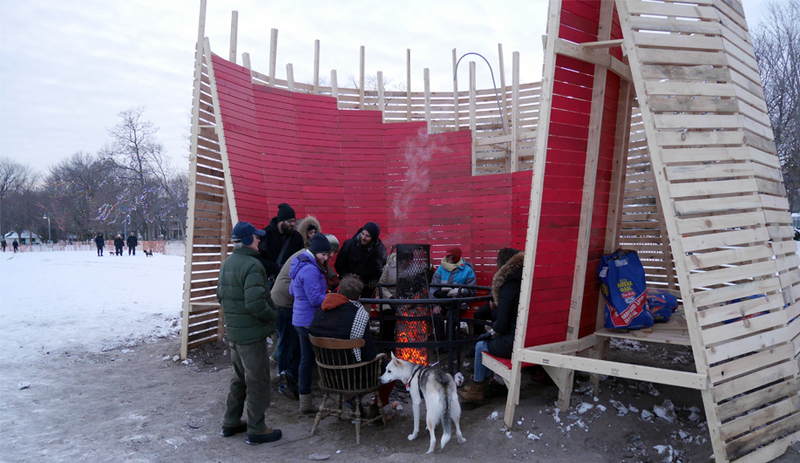 The structure’s tall, curved wooden back blocks northern winds, while the central fire pit helps restore feeling to frozen fingers. 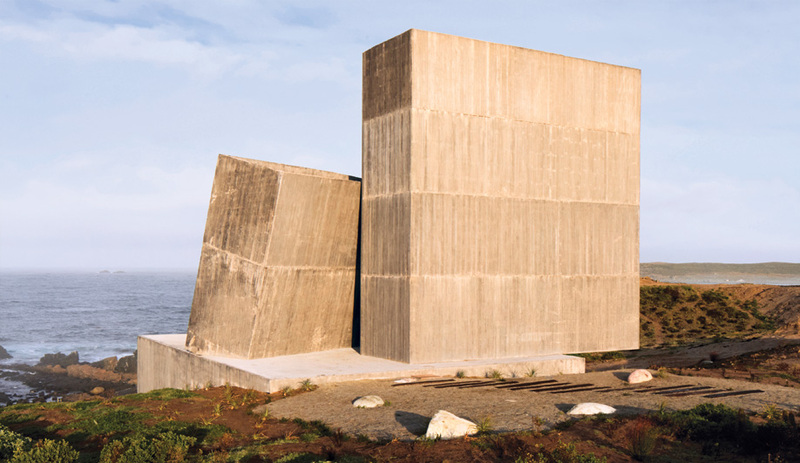 Michaela MacLeod and Nicholas Croft’s monolithic shelter offers a twist on traditional fishing huts. 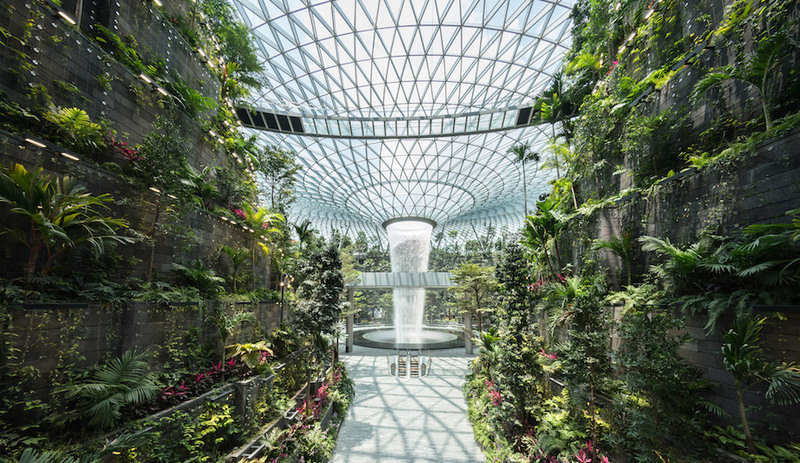 Rather than carving an ice hole in the ground, the young designers cut a Pantheon-like opening in their structure’s roof. The insulated walls muffle noise, playing up the shelter as a serene escape from the harsh environment.